We have a few questions we can address this week. John, last fall I did a Turn 2 track day at Calabogie on my Street Triple. During the inspection, I mentioned to you that I found the bike turned too quick, almost “falling in”. You suggested I lower the forks (raise the front) a bit, to counteract that. Can you give me an idea how much I should raise them to start? A millimeter? More? Thanks, Anne. Anne, excellent question… First off, I would have asked Anne to check the sags before changing the ride height. Quite a few bikes are delivered from the showroom on the verge of instability for one reason or another and all it takes is a larger (or in Anne’s case) taller person to tip the scales and have the front geometry end up being too steep. With two riders of the exact same weight, the taller rider will put more weight on the front of the bike than the shorter rider, affecting sags and weight distribution accordingly. I ran into this exact scenario in Italy at the launch of the 08′ GSXR 600 with the bike exhibiting the exact same traits Anne is complaining of. When I had the engineers help me check the sags, we discovered a front sag of 44mm. After much coercing, I finally got them to add 6mm of preload to get the sag to a more normal 38mm, and it transformed the bike into a much more confident steed, and lap times fell dramatically. 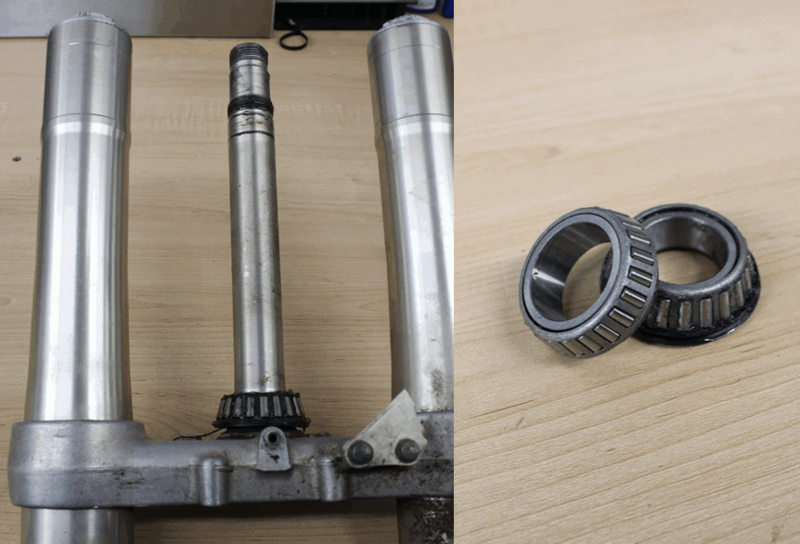 So, if Anne checks the sags and finds them to be in the 38mm front / 26mm rear range and the bike still acts this way, she could push the forks down in the triple clamps around 3mm or so. 1-2mm might not be felt, and 5mm is a big change, so 3mm is a good start. Repeating this process with another 3mm or so will give you some future knowledge on how the bike responds to a change of this magnitude as well as how sensitive you are to chassis changes. 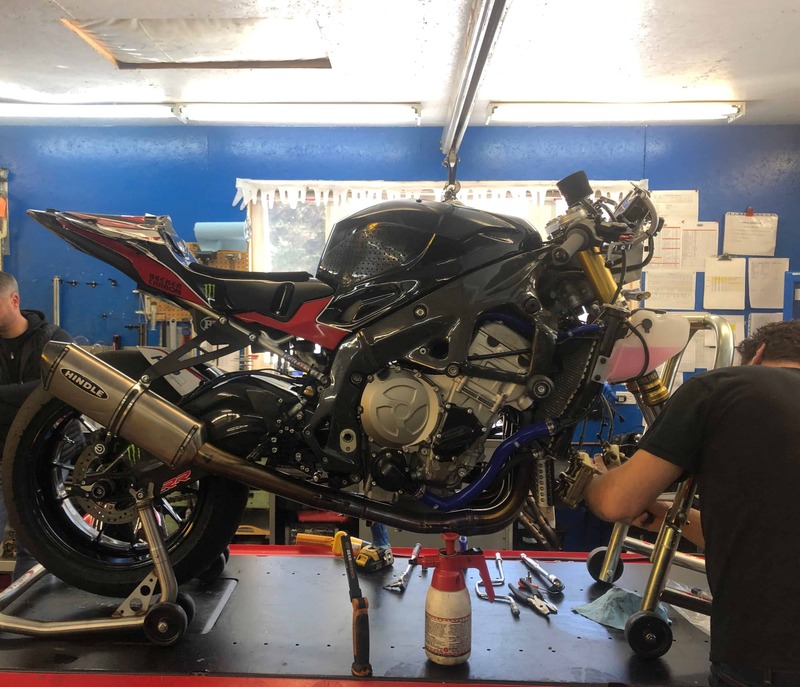 Anne’s bike was cursed with the stock shock, so raising the rear ride height which is an operation very common on a performance aftermarket shock was out of the question. This left the only option for tuning the ride heights to be moving the forks up or down in the triple clamps. Hi John, I just bought a Kawasaki ZX-10 and my buddy has an 09 ZX-10 as well, they have these beautiful Ohlins steering dampers mounted above the fuel tanks, but neither seems to work. Very little change if any can be felt from adjusting the dampers from full soft to full hard. What gives, should I call my dealer and complain? It is ok on the street, but the pavement at Shannonville is terrible and the bike is downright frightening to ride there. Any help would be appreciated. Dave. Hi Dave, thanks for the note. Rest assured your damper is working exactly as Kawasaki intended it and no there is nothing technically wrong with it. Steering dampers on the street are risky business. 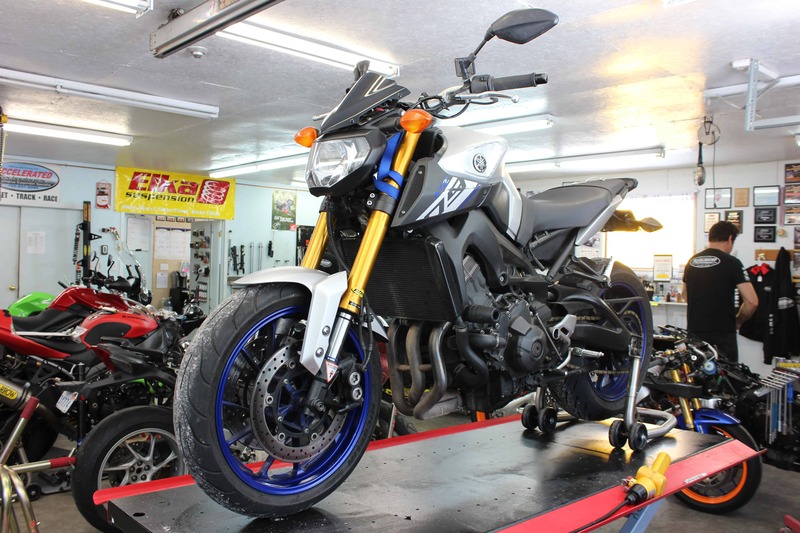 I owned an RZ500 Yamaha way back when and I installed a steering damper to solve the rubbery frame problems that plagued that bike at high speeds. The problem was, I didn’t always remember to take the damper off full stiff when I got off the highway and sat at the off-ramp’s intersection. Then as I proceeded to slowly enter the intersection and turn, I just about crashed the bike when it wouldn’t stand back up as i tried to finish the corner, embarrassing moments of foot dabbing ensued. If this were to happen to you, and you fell, you would furiously charge to your dealer, correctly stating your crash had been caused by this factory installed steering damper. So, it seems that steering dampers when they come factory installed on motorcycles will typically have a safe level of maximum performance built in. In the case of Kawasaki and this particular Ohlins damper, there is a bleed hole drilled right down the middle of the adjustment needle inside the damper, which will allow oil to bleed by the adjustment circuit regardless of where you have it set. Ohlins can sell their suspension dealers a replacement ‘race’ needle upon request for around $10.00 and a good performance motorcycle suspension shop can then fix this for you. Just be cautious of only using the firmer settings on the track and remember a modification like this will be grounds for denying any warranty claim associated with a chassis problem, or a crash. Greetings John, I was changing the brake pads on my first generation SV 650 and noticed that on one caliper, the outer pad is wore down to the metal, while the inner pad still has lots of material on it, what can cause this? Jim. Jim, on most older bikes, the brake calipers are more similar to those found on cars, where the brake fluid acts on pistons that push on the outboard pad, and the balancing force is transmitted to the inboard brake pads by way of sliders and guide pins that are supposed to divide the forces evenly. The vast majority of off road and motocross bikes use this style of caliper as well, since less peak braking force is required in the dirt. The other reason to use this caliper system on an off road bike is that there is just not much room between the rotor and the spokes to put in the extra caliper casting to hold opposing pistons and associated components. So, when you are changing your brake pads, completely disassemble the slider mechanism, clean out any dirt and clean off any corrosion and liberally grease the pins and internal sliders and make sure the caliper can move freely and not bind’ allowing the braking pressure generated by the master cylinder get to both brake pads evenly after the service is complete. Just be careful no grease gets onto the brake rotor or pads as this will cause more problems than you just solved!